Several big tech influencers are joining not-for-profit OASIS to standardize REST-based Open Data Protocol. OData is an open web protocol for both updating and querying data over HTTP. It can return back formatted results that can easily be displayed in both web pages and native apps using ATOM, JSON, and plain XML with included pagination, ordering, and filtering of data. Supporters include CA Technologies, Citrix, IBM, Microsoft, Progress Software and Red Hat. Fifty-seven officers are OASIS OData Technical Committee members. They currently represent SAP AG, IBM, Perficient Inc, Northeastern University and Microsoft. In a recent meeting the current committee welcomed the new supporters to the initiative. 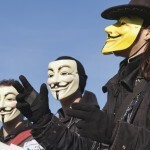 This week, the loosely connected online activist and hacking community Anonymous began a new "operation": attacking the Ukrainian government. In retaliation to Ukraine's take down of popular BitTorrent tracking site Demonoid, Anonymous is seeking "revenge against all criminals responsible" in the country's government. 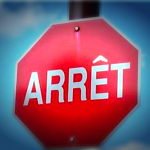 Google Translate for Android, today available as v2.5, packs some smoking new features: voice-to-text and text-to-voice translation in more than 64 languages and -- get this -- photos. New features to this version include live/instant language translation results as you type. Allowing you to get the translated text sooner. For people who use the speech-to-translation option, you can now choose your dialect preference for your speech/voice input. For Japanese language users there is now support for handwriting multiple characters at once, allowing for words to quickly be written in for both travelers and native Japanese people. New York City Mayor Michael Bloomberg and NYPD Police Commissioner Raymond Kelly unvield a new partnership with the Microsoft Corporation. Working together, New York Police Department and Microsoft developed a crime prevention and counterterrorism information analysis platform they call Domain Awareness System. When fully deployed, the new system will provide NYPD investigators and analysts a comprehensive view of potential threats and criminal activity. DAS will help aggregate and analyze public safety data in real time. DAS takes tips, emergency response calls, and other live incident and safety reports and automatically ties them to richer amounts of information. A network of smart CCTV cameras, license plate readers, speed cameras, and pre-existing cross-agency database information is filtered to relate to those incidents and tips that match. 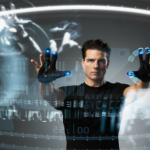 Law enforcement can then develop live real-time incident reports that can be transmitted to police in the field. Starbucks Coffee Company and mobile payments startup Square on Wednesday announced a broad interconnected partnership which includes Starbucks investing $25 million in Square as part of the startup’s Series D financing round, Starbucks chairman, president and CEO Howard Schultz joining Square’s Board of Directors, and Square's mobile payments and credit transaction platform being used in U.S. Starbucks stores. Starbucks customers will be able to use Square's "Pay with Square" mobile app, available on both Android and iPhone, at U.S. Starbucks stores later this fall, and find nearby Starbucks locations within Square Directory. 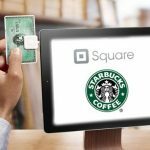 Square will also take on the processing of Starbucks U.S. credit and debit card transactions. A new survey released Tuesday by the Chantilly, Virginia-based security and anti-spam company PhishMe has a lot to say about filtering phishing attack emails in the corporate environment. 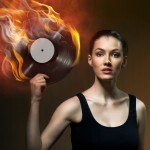 PhishMe conducted a survey at this year's Black Hat hacker conference in Las Vegas, July 24th to the 26th. 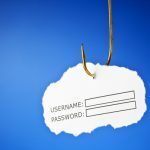 PhishMe surved 250 security professionals, of whom more than two thirds (69 percent), have said they encounter phishing messages that get past anti-spam filters at least a few times a week. Nearly a quarter of those surveyed say they see multiple phishing emails daily in their corporate network users' mailboxes. "Phishing" is the name given to a form of an email attack that uses social engineering tactics to lull the recipient into a false sense of security in order for them to click links within the email. The email can have links that look like they go to real sites, but are in fact redirecting Unicode Urls that don't show up properly in most email clients still. 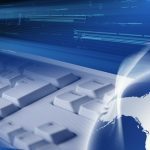 The point of these emails is to gather user information though man-in-the-middle style attacks, or to get the user to malicious websites that can execute malicious code, installing viruses or rootkits on a system. A more targeted form of this type of attack is called "Spear Phishing", an email attack in which the phishing emails are targeted to a specific person or group of people, usually people within an organization that shares a common set of information. 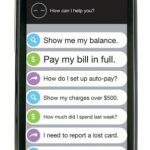 Nuance Communications, Inc., the company known for Dragon Naturally Speaking dictation software, the Swype virtual keyboard, and T9 text completion has just announced its very own digital mobile assistant platform named Nina. Nuance, who also contributed behind the scenes to Apple's Siri, is taking a different approach with Nina. Nina will be released as a global speech-based virtual assistant for both iOS and Android mobile apps, and will also come with a Virtual Assistant SDK. Thursday it was announced that an unofficial port of Android 4.1 Jelly Bean CyanogenMod 10 custom ROM was available for the discontinued webOS powered HP TouchPad, with a big early thanks to XDA-Developers forum member and Android developer James Sullins, aka jcsullins. 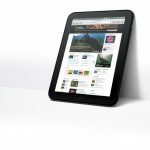 Though it's discontinued, and mostly a niche device, the HP TouchPad is no slouch in the hardware world. It sports a 9.7 inch, 1024 x 768 pixel display, a 1.2 GHz Qualcomm Snapdragon dual-core processor, has 1GB of RAM, and 16GB to 32GB of storage. It is still a very solid tablet. 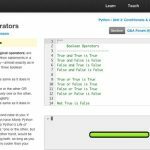 CodeAcademy, the free site for learning how to code, has just added the Python programming language to its tutorial platform. 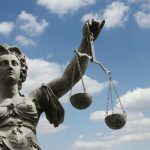 "Patent trolls," or non-producing companies that buy up patents in hopes of litigating their way to profit, have been in the technology news for years. They have, in effect, created a cottage industry within tech where one company after another uses poorly written and overly broad patents to block new products, squash competing products from reaching the market, or just to try to defend themselves from possible legal extortion. However, a new bipartisan bill coming from the desk of US Congressional Representative Peter DeFazio (D-OR), cosponsored by Rep. Jason Chaffetz (R-UT) will be the first legislative deterrent to predatory patent troll lawsuits. The bill's goal is to amend Chapter 29 of title 35 of United States legal Code. Google on Wednesday afternoon made a huge announcement for its near field communications (NFC)-powered Google Wallet platform. 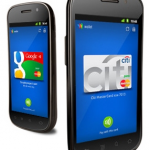 Beginning August first, with an update to the Google Wallet app, Android phone users with supported NFC devices such as the Samsung Galaxy Nexus, HTC One X, or Fujistu Arrows, will be able to use any credit card from Visa, MasterCard, American Express, or Discover as an NFC payment solution. These credit cards can be used at one of the 200,000 MasterCard PayPass-supported retail locations across the United States. Not only does the update support the full assortment of major U.S. credit card companies, but it also moves the encrypted secure bit for credit card authentication off the phone, and into the cloud on Google's servers. Previously, the wallet ID (virtual card number) was stored in a secure encrypted storage area of the Android phone. This could corrupt the wallet on the phone if software updates were performed, or firmware was updated without clearing the wallet data first. But now with the new permissions being passed down from the cloud, there is an added level of security. That new level of security is the ability to remotely disable your mobile wallet app if your phone is stolen. Amazon Instant Video, the little video service that could, has now moved into Apple territory. Starting August 1st, Amazon will be releasing an iOS iPad app for its Amazon Instant video service. The new app allows iPad users who are also Amazon Prime account members to access the 20,000+ title collection of videos available to them. The new iPad app also allows viewing of Amazing Instant Videos not in the "free" Amazon Prime video section as well. 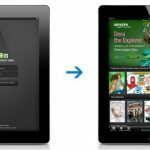 The Amazon Instant Video App for iPad also offers access to "Your Watchlist," a list of all the movies and TV episodes Amazon members want to watch in the future, regardless of if they own the video or not. Also, the app provides access to a "Your Video Library" feature that gives iPad customers access to their previous purchases and rentals from Amazon Instant Video. Another nice feature is the option to either watch over a Wi-Fi connection or download the video for offline viewing mode. The Apple TV hobby just got one more service to add to its collection. Starting today Hulu, the ad-supported on-demand streaming video service, announced that its for-fee subscription offering is now available via a quick software update on the Apple TV. Hulu Plus joins Netflix as strictly streaming service available on the set-top box. Hulu and its owners, Disney, Comcast and News Corp., had little choice but to get Hulu Plus onto Apple TV as soon as possible. 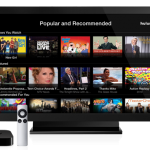 With Apple’s new Mountain Lion update, anyone with an Apple TV could already use the the new Airplay feature to “mirror” the free version of Hulu's website video onto their TVs. The basic website version of Hulu though does not offer features like a deeper content library and HD streaming. In July of 2011, Bryan Halfpap waited for his return flight home to Maryland. A network systems security professional working for a natural resource refiner and energy provider, he had just finished up the week of events at the DefCon security conference in Las Vegas. Slumped in his waiting chair, tired, bored, and with time to kill, he popped open his laptop. Audio and visual confirmations of open wireless networks lit up his computer. McCarran International Airport, the gateway to the neon-colored pleasure island that is Las Vegas, had free Wi-Fi. For whatever reason, Halfpap wanted to kill some time by getting to know the airport he was sitting in. Baltimore, Maryland based Patrick Roanhouse has been active in the tech industry for 15 years. Starting his first job in tech doing tech support for a Maryland dial-up / ISDN ISP when he was thirteen. He has been doing work from network security, systems deployment, consulting, and telecommunications ever since. He has been covering tech news for 5 years now being a guest writer and host on public radio, tech blogs, and podcasts. His main tech focuses are government internet / tech policy, the future of IP wireless telecom, Open Access internet, the digital divide and how to close it, and consumer electronics. When he isn't fighting the good fight to keep the Internet "Free & Open" or trying to motivate Baltimore for the better with a multitude of community events he is an avid video game nerd, cinephile, and independent comic book reader.